According to rental site Zumper, median rents for a 1-bedroom in Downtown / Union Square are hovering around $4,430 (compared to a $3,309 average for San Francisco). So how does the low-end pricing on a Downtown / Union Square rental look these days--and what might you get for the price? Listed at $1,395 / month, this studio apartment, located at 325 Sutter St., is 27.3 percent less than the $1,919 / month median rent for a studio in Downtown / Union Square. The building features garage parking, on-site laundry, a residents' lounge and a communal kitchen. The unit has hardwood floors, and although there's a shared bathroom down the hall, it has its own sink. 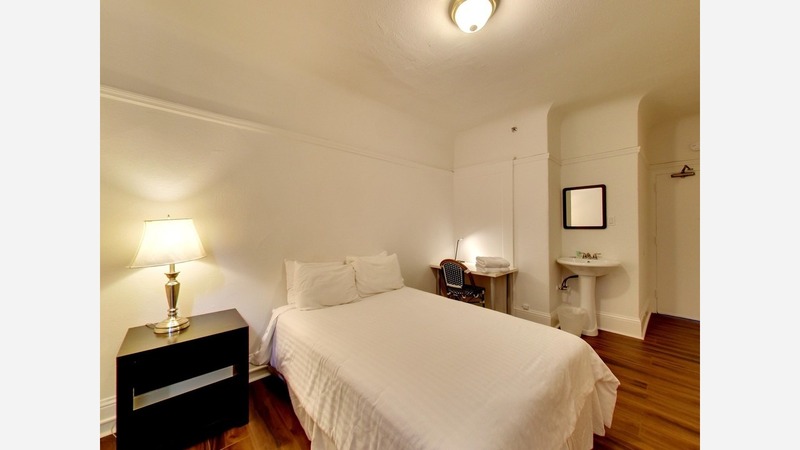 This studio apartment, situated at 513 Bush St., is listed for $1,550 / month. In the sunny unit, you're promised carpeted floors, a kitchenette and a ceiling fan. Amenities offered in the building include on-site laundry. Sadly for pet owners, animals are not permitted. Here's a 1-bedroom, 1-bathroom apartment at 333 Grant Ave., which, at 635 square feet, is going for $3,400 / month. When it comes to building amenities, expect a roof deck. In the unit, you're promised hardwood flooring, a walk-in closet, in-unit laundry, built-in storage features, stainless steel appliances, a dishwasher, ample closet space and good natural lighting. Pets are not welcome.